yesterday. We are so excited, it looks good even in its unfinished state. We are talking really doable for those of you that aren't in love with your dated counters! Here are a few favorite ideas on my diy list this weekend. They all just happen to all include spray paint, my go-to product I couldn't live without! 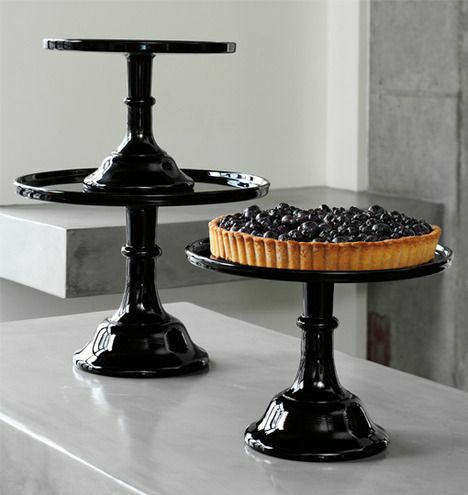 How pretty are these black cake stands? And, these metallic gold magnetic alphabet letters? 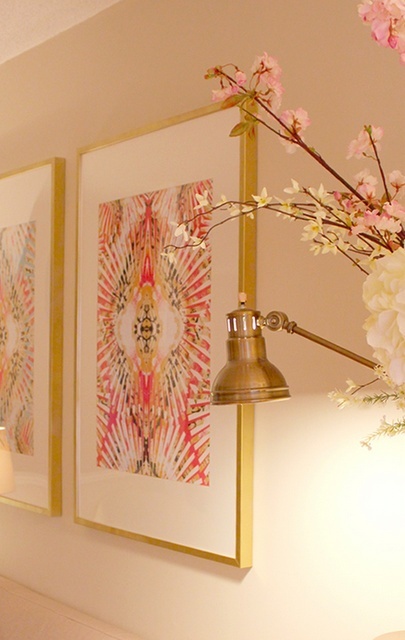 And, Ikea's Ribba Frames glammed up in gold! If you're craving a treat after all that hard work I highly recommend these. A bit more work than typical chocolate chip cookies, but SO worth it! Happy weekend sweet friends, hope it's filled with all your favorite things! And, thanks so much for stopping by! Oh, I think I'll need some gold Ribba frames when I get back from my trip. Have a great weekend! The gold letters are gorgeous. I am now wondering what I could spray gold! I so badly need to make a trip to Ikea, and I'll definitely be adding the spray paintable Ribbas to my cart! 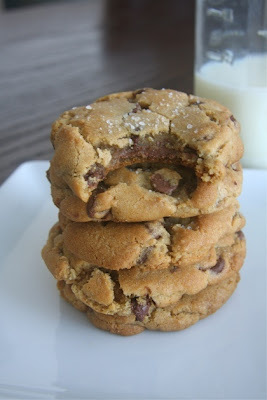 Those cookies DO look delish…..I love sea salt on a sweet! Have fantastic weekend my dear! Can't wait to see the countertop reveal! Let me add one more thing to your weekend to-do list...make some of those cookies and mail them to me! ;) Happy spray painting! You are the spray paint queen for sure; your purse cracked me up. I love everything you do and you are truly inspiring! Have a great weekend and I've got to make those cookies. Im in love with Nutella anything. Oh man, I wish I had smell-ovision....those cookies are calling my name. I'd like to dunk them in my coffee that I am drinking right now. Awesome inspiration! I've got my sights on a garden stool as my next spray paint victim;)! I am so flad to hear the counter top worked out. I can't wait to see that one. I am going to be a spray painting mad woman this weekend. i was oohing and aahing about the projects and then you shoved a cookie in my face and i forgot what i had seen. I'm so inspired!!!!! I need to grab a can soon!Thanks Pam! The cake stands look awesome! I REALLY can't wait to see the counter tops! Thank you so much for your help w/ our countertops, Pam. We are so excited! You are a natural at all things DIY and so much fun to work with! 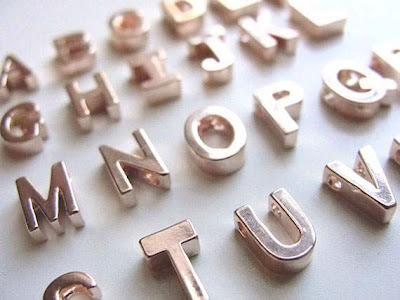 I love the black stands, cute letters, and pretty frames. The cookies look amazing (and dangerous!). Those cookies look delicious! Can't wait to see the countertop transformation! I'm sure I'll have brain damage some day from all of the spray painting I've done... :) great new ideas! Those cookies look dangerous. Have a fun weekend! Yum.. those cookies look so good! Oh those Ribba in gold are just what I need! I've picked up a few gold thrift store frames for a gallery wall but lately I've stopped finding them, so an Ikea trip is in order!